Here is our choice of the best beaches in Martinique, that range in color from black to gold! Picturesque Anse Dufour, Les Salines, Anse Couleuvre, Anse Noire, Fonds Blancs, Anse Mitan, and La Pointe Marin will make your vacation in Martinique unforgettable! 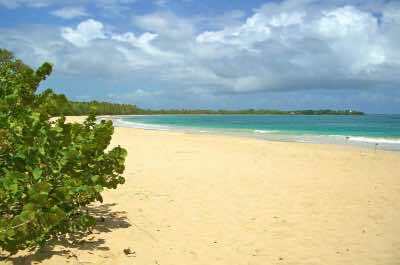 Looking for an idyllic Martinique beach where you can relax? Located near to Fort de France on the south west coast, the paradisiacal Anse Dufour offers a sun-kissed beach of white sands, swaying palm trees and azure blue waters. 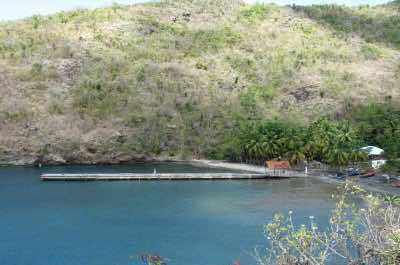 Snorklers will love this venue, it is the perfect spot to see green turtles, foureye butterfly fish and bluehead wrasse. Sponges and beautiful colored corals line the reefs and make for great diving. The beach is covered with boats and taking a stroll offers a relaxing scenic walk and great photo opportunities. Stop at a little beach restaurant for a bite. There are many beautiful beaches in Martinique, and a visit to Les Salines Beach is a must. This quiet and secluded beach is covered in white sand, dotted with palm trees and offers warm turquoise waters for swimming and snorkling. The beach lies south of Sainte-Anne and is usually nor crowded, making it perfect for a relaxing and private time. Snacks can be bought at the beach restaurant or from vendors who arrive with fresh food on carts. 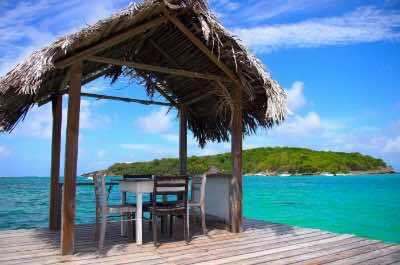 At the far end of the beach you will find a smaller, secluded beach, Petit Anse de Salines. This venue is popular with gay and lesbian travellers who will meet like-minded people. A beach with black volcanic sand has to be the next best things to do when vacationing on Martinique. 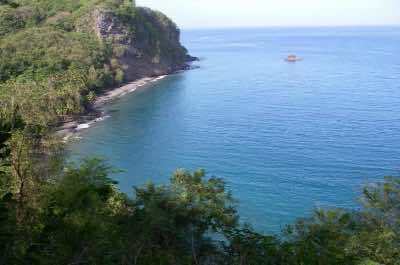 This secluded Martinique beach is located in the north nestling under the towering Mount Pelee. The road to reach it is rugged, winding its way through dense forests and becoming narrower and narrower. Probably best to travel in a 4x4! The trip is worthwhile, when you reach the beach it is a little slice of paradise. Dark sands, surrounded by towering volcanic cliffs and azure blue waters will enchant. Snorkling is a must to see the stunning colorful marine creatures, corals and sponges. Relax under the swaying palm trees or walk and soak up the sun. The black sand makes a great mud-pack for a facial treat. When making a list of what to do on vacation, a visit to a volcanic Martinique beach is a must. 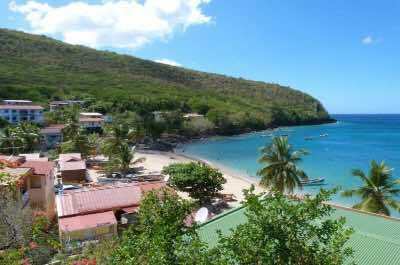 Anse Noire is found in the south and offers a wilder ambiance, surrounded by lush palm trees and towering rocky slopes, creating a secluded setting. The dark sands will enchant and the water is warm and calm. It is reached via 130 stairs, so make sure you are ready! You can rent a kayak and take a relaxing paddle around the beach. Climb the rocks for great views. Snorkling is great and you can walk out onto the wooden pier and try your hand at some fishing! Exploring the picture-perfect Martinique beaches is something you cannot miss. Located on the François Isles are the iconic Fonds Blancs. These high white coral sandbanks create a natural barrier that encloses shallow waters that make for ideal wading and swimming with no waves. The water is crystal clear and amazing colorful marine life lives underwater. Snorkel and dive, soak up the sun and enjoy a walk. Then settle down under an umbrella and admire the view. Sports lovers can rent a kayak and the family can enjoy a catamaran tour with a knowledgeable and friendly guide. The beach is popular, so expect a lot of people! Legend has it that Josephine Bonaparte used to take a bath here! Nature lovers will be thrilled to learn that this area is protected as a conservation zone with an emphasis on monitoring the white sea urchins and lambis. Golden sand and deep water make Anse Mitan one of the best Martinique beaches. Located on the south west shore, it is worth a visit! For sports lovers, diving and snorkeling is a must to see the exotic marine creatures that make this their home. For those wanting to relax, set up under a swaying palm tree with a cocktail and admire the view and the people. The beach offers a great restaurant and a variety of bars for lunch or you can bring your own picnic along. Beach activities like parasailing can also be enjoyed. For a fun experience, take the ferry from Fort de France for lovely views of the bay. Then walk to the pier and do some shopping at the many stores. The vibe is quite French and a croissant will be the order of the day! This beach is quite touristy and is also popular with the locals. Exploring an endlessly long Martinique beach with a touch of Club Med pizazz is a fabulous thing to do on vacation. La Pointe Marin stretches for over half a mile from the cemetery at Sainte-Anne to the famous Club Med. White sands reach as far as the eye can see, coconut palms sway in the soft breeze and the water is a clear and tranquil blue. Rent a chaise-lounge and get set for a day of people watching! The beach does get very busy and with its host of restaurants and bars, it makes a great family and group outing. If you want something quieter and more secluded, spend a few hours on this cool Martinique beach for the vibe and then head off!